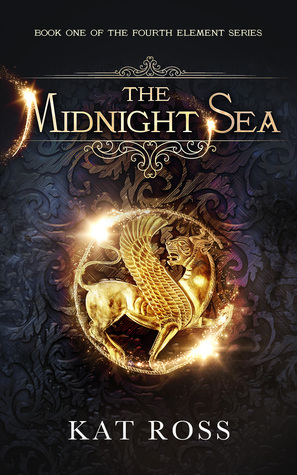 Welcome to my stop on The Midnight Sea Blog Tour! I'm so excited to tell you about this book. I loved this book! I'm sad that I have to wait to continue the story. Be sure to check out my review and the giveaway below. I chose this book because by reading the synopsis I really couldn't tell exactly what it was about, but yet it intrigued me. The reason I couldn't understand what it was about was because it is about a made up world and situations. Oh to have this kind of imagination! I believe there are actually made up words in the book. At least they were unfamiliar to me and when I pressed down on them on my Kindle, it was not able to find a definition. As I started to read the book I was concerned that I wouldn't understand what was happening in the book. It was so foreign to what I have read in the past. I can't help but compare it to The Hobbit. The Hobbit is a book I've heard so much about that I just really want to be able to read it and understand what is going on in the book. However, for some unknown reason I just can't grasp The Hobbit and have never made it very far in the book. That wasn't a problem with The Midnight Sea. Sure there were bits that I didn't understand completely. But either those bits were explained more later or they just weren't a deal breaker with the story. Once we get beyond the preliminary bits of the story, the book moves quickly. It is so full of action! I quickly fell in love with the main character Nazafareen. It didn't take me long to like Darius once we're introduced to him. The relationship between these two characters is beautiful! Nazafareen fights their bond to begin with, but eventually learns how strong they can be as a team. It appears as if they will be the "stars" of the Water Dogs so to say. Then a twist is thrown into the book and took me by surprise. I will warn you that this book ends on a cliff hanger of sorts. But it's one of the "good" cliff hangers. It's not one of those that leaves you hanging without knowing whether a character is alive or dead or something else big like that. We just have to wait for book 2 to see what the next stage of the rebellion is. I can't wait for book 2! I'm off to stalk (in a good way) the author to get clues about the next book. Please note that I was given an ARC of this book in exchange for my honest review. It was a delightful read! Thanks for stopping by. thanks so much for the lovely review, Carey, you made my morning! Wow! I think you are the first author to comment on one of my reviews. Glad I could make your day. It was a great book and I look forward to read book 2.